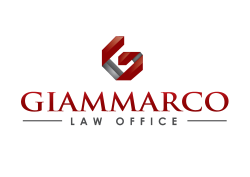 Giammarco Law Office PLLC assists clients in the start-up phase of their business life cycles as they take critical steps to establish the foundation of their businesses. These steps can include choosing an appropriate entity type (LLCs, PLLCs, corporations or partnerships), hiring employees and drafting straightforward operating and ownership agreements to help reduce risk and the possibility of future disputes. We carefully listen to our clients’ objectives, and then analyze the nature of their business ventures, taking into consideration management and ownership structures, financial issues and degree of risk involved, specific to each form of business. Based on our analysis, we recommend an appropriate business and ownership structure, then execute formation strategies that benefit our clients. Our attorneys draft contracts, as well as operating and ownership agreements tailored to each business’s ownership structure and objectives. These agreements can reduce liability, mitigate risk and provide a clear structure for dispute resolution and transitions in ownership. They also provide guidelines for management of the business in the future. After helping clients establish their businesses, we help owners and boards of directors maintain their operations, fostering growth while complying with organizing documents and protecting owner and shareholder investments. As new federal, state and local laws take effect, we help our clients avoid legal and regulatory pitfalls and take advantage of benefits new laws may afford them. We also protect our clients' valuable intellectual property rights through the use of trade names, trademarks and copyrights. Throughout every stage of a client’s business, we encourage an eye to the future. We focus on business success and growth by implementing programs and procedures that allow our clients to be proactive, avoid controversy where possible and be strongly positioned in the event that controversy arises. Contact us today to discuss your new business or how to improve your current operations.